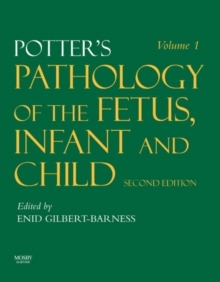 This comprehensive reference addresses all aspects of fetal and neonatal pathology, including complicated pregnancies, multiple pregnancies, abortion, placental pathology, and disorders affecting the full-term neonate. A consistent organization allows for quick access to specific guidance, and nearly 2,500 illustrations - 2,350 in full color - depict conditions and abnormalities as they present in practice, facilitating diagnosis. An Image Bank on CD-ROM - new to this edition - features all of the illustrations from the 2-volume set, downloadable for presentations. Offers comprehensive coverage of all common and rare embryonic, fetal, and infant disorders in one source. Correlates clinical, pathologic, and genetic findings for each systemic disease. Emphasizes the genetic and molecular basis of birth defects. Presents practical information on autopsy techniques and protocols. Provides the latest guidance on molecular pathology, immunohistochemistry, DNA technology, and more. Features user-friendly summary tables and diagnostic flow charts, making information quick and easy to find. Includes a CD-ROM featuring all of the illustrations from the 2-volume set.